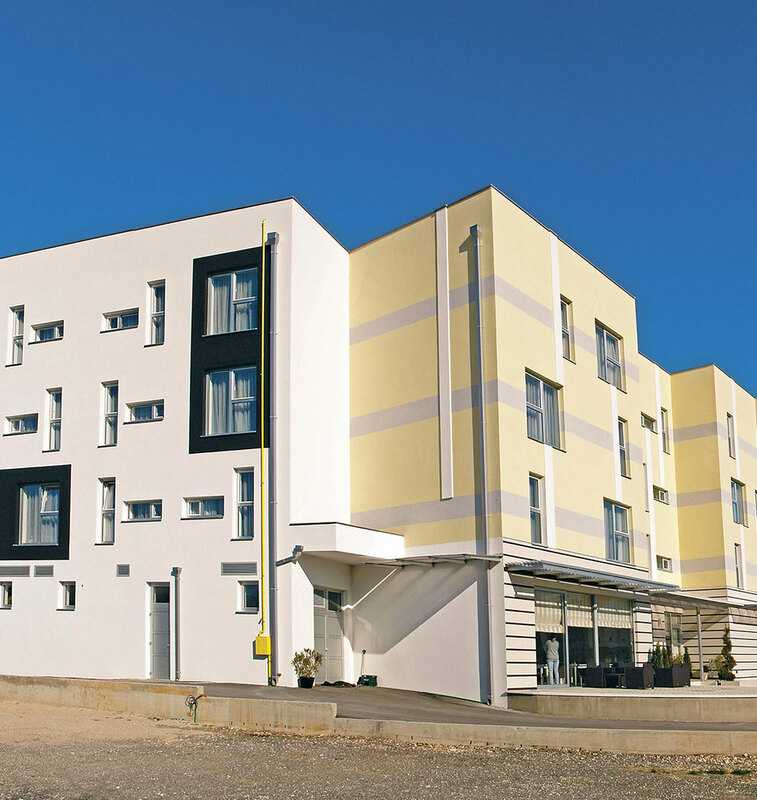 The Hotel Herceg, which was constructed in June 2011, is a modern and comfortably furnished four star facility, located in the heart of Medjugorje. With its construction and capacities it contributes to the offer of a hotel accommodation in Medjugorje, with increasing demand from day to day. We will certainly justify your confidence, because we are here to make your stay in Medjugorje as comfortable and enjoyable as possible. Hotel Herceg is located in the center of Medjugorje, about 600 meters away from the St. James’ church and near the Post Office. Therefore, the position of the hotel is extremely suitable for easy sightseeing and visits of the shrine. Hotel Herceg extends over three floors and has a capacity of 75 modern and comfortable rooms, each floor provides one room for people with special needs. There are two elevators to easier move around the hotel. Our friendly staff is responsible for your pleasant stay, for all kinds of services and information at the hotel reception. There is a souvenir shop with motives of Medjugorje on the ground floor, with working hours adjusted to the hotel guests. By visiting the Herceg hotel you will see for yourself that we deserve our 4 stars, which guarantee you a pleasant stay in our Medjugorje and Herzegovina. Welcome to our hotel, we are awating for You! The Herceg hotel restaurant is the place where your meal becomes a holiday. 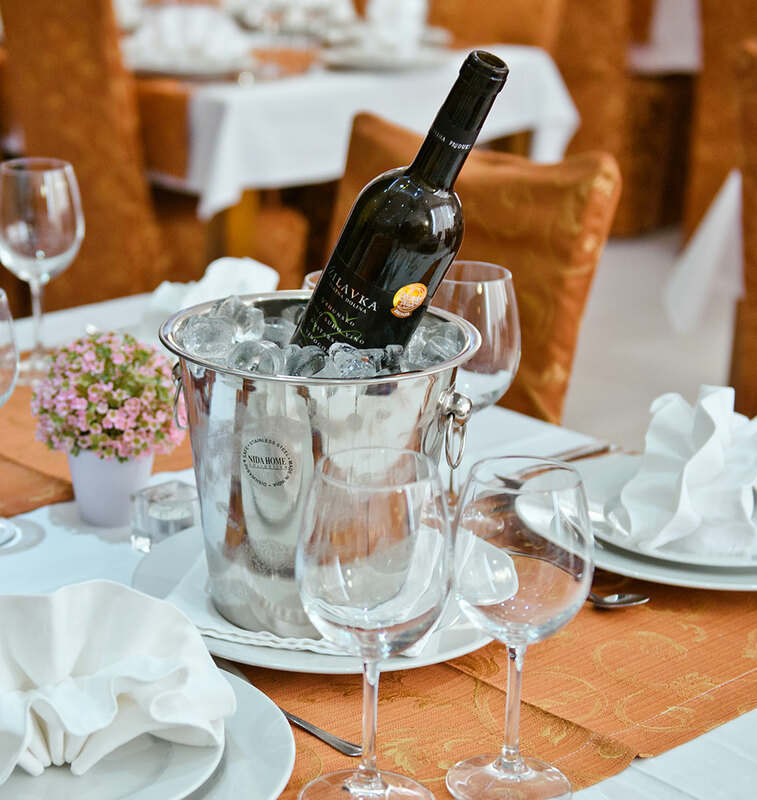 Taste the superb international cuisine in the relaxing atmosphere of our restaurant, with special emphasis on Mediterranean cuisine and on specialties of the local cuisine. All rooms are for non-smokers and include: air conditioner cooling/heating, LCD TV, direct-dial phone, free internet, SOS in bathrooms, smoke detector, mini-bar, hair dryer, and cosmetics. 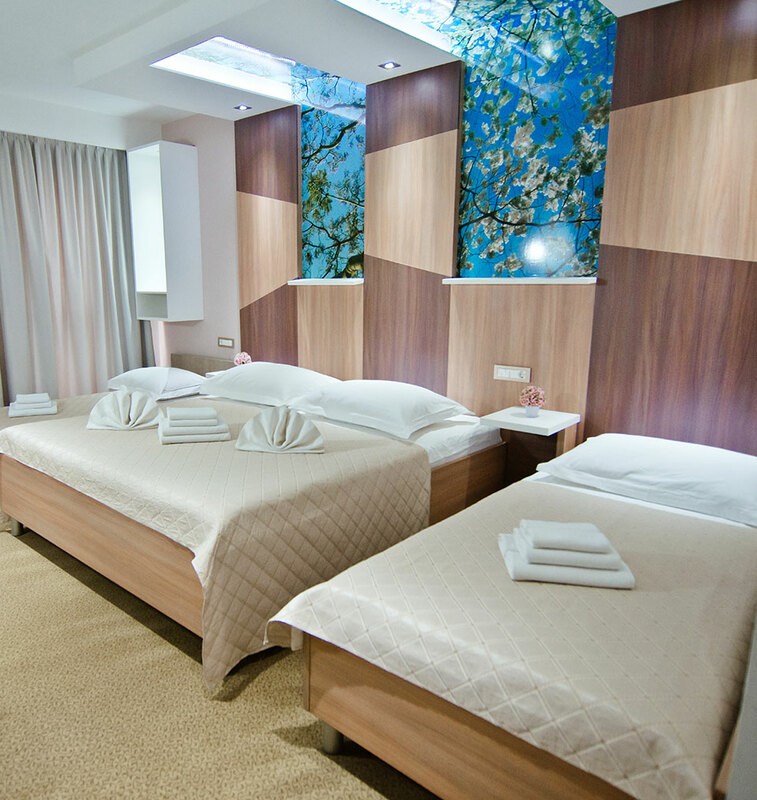 On each floor, there is a room with bathroom suitable and equipped for the disabled. The Hotel Herceg staff went out of their way to make our stay very enjoyable. From the check-in desk to the waiters, this has been one of the best hotels we have stayed in in a long while. The food was abundant and very good. Because of this wonderful experience we had, we would consider vacationing in this area again. Thank You Hotel Herceg staff. We come for the third year in this hotel and every year we go more satisfied than the year before. Courtesy and availability is 360 ° around the team hotel is the basis for a satisfied customer. Thank you and until next year. The Hotel staff were very accomodating when I forgot that the time had changed (daylight saving) and was late to breakfast and check out. The Hotel is new, the rooms are modern and in excellent condition. If You are a guest of the hotel Herceg or Herceg etno village, and You travel by plane, we offer You a possibility to make a resevation for transfer service from airports Dubrovnik, Split or Sarajevo to Međugorje. Fulfill this formular at least 72 hours before the arrival and it will be responded within 24 hours. The transfer cost would be added to your hotel services and it will be paid at the reception before check-out. The same credit card will be used for guarantee as for the hotel booking. The reservations are possible at prior request and depends on availability. In early June 2014 was completed the construction of a new pool made up to a design technology total area 4000 m2 of which approximately 1650m2 of water surface. This is the first pool in the region was made by a new innovative technology without the use of ceramics. Beside the pool there is an outdoor bar, outdoor fitness, beach chairs, umbrellas and other auxiliary facilities. The pool is located in Herceg ethno village 3 km from the center of Medjugorje, and all guests of Herceg have use of the pool included in the price. Pool is open from mid June until mid September.